But always present…to guide, nurture and support—even through what can feel like impossible moments. No worries. Unless…we are talking about a Guardian Angel Player. Then, that is a different story—maybe—well, in a way it is—sort of—or not. Guardian Angel Player’s finish, and only its finish, can be had “In-Distress” if desired. 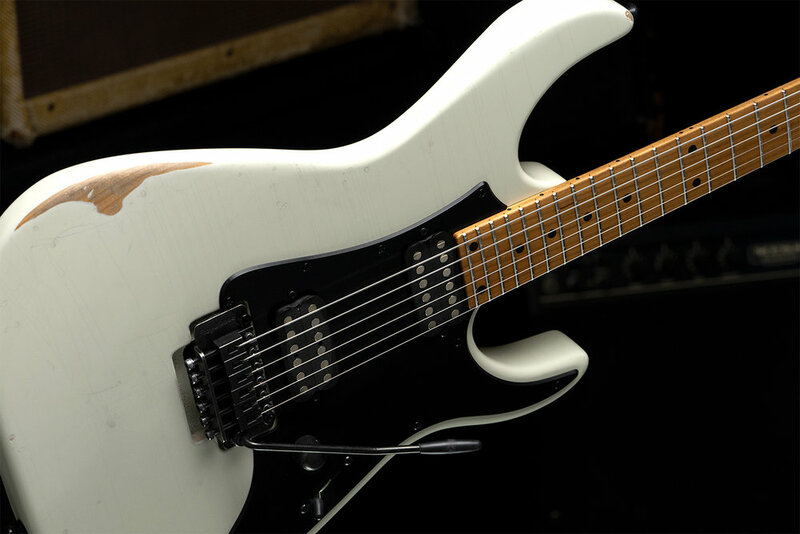 In-Distress is a frequently requested finishing attribute, available on all our guitar models that feature an all tone-wood body. 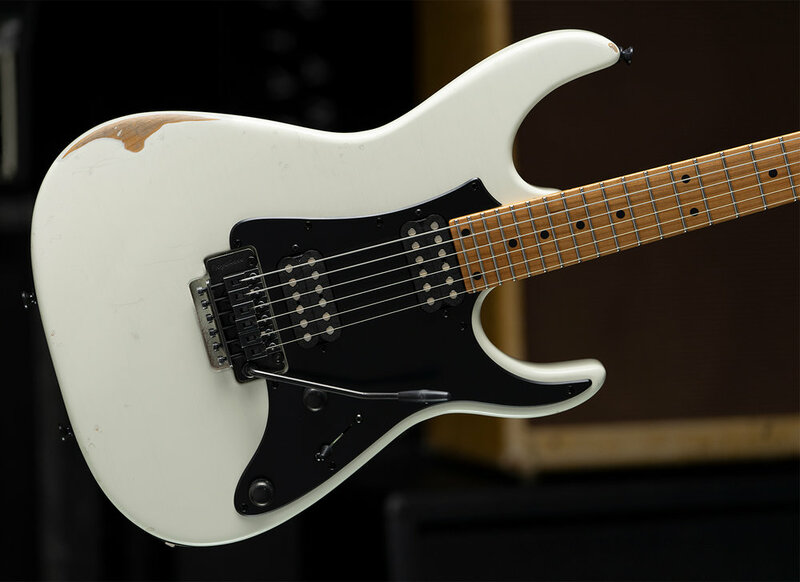 For those seeking an utterly unparalleled performing guitar that displays the sagacious look of experienced travel, touring and musical success all over the world, this very-first In-Distress, Guardian Angel Player produces astronomical 24 fret performance while distressing over its Olympic White, Alder body and aged Black Hardware. An extreme and extremely cool vintage look with modern 24 fret Anderson excellence. The best of both musical realms merge...into one magnificent Guardian Angel Player.